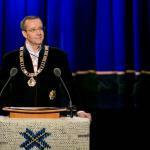 By Toomas Hendrik Ilves, President of Estonia, on the 95th anniversary of the Republic of Estonia in Tallinn, 24 February 2013. Today, on the 95th anniversary of Estonia, the thought of independence has, once again, become natural. It neither requires interpretation nor explanation because it is a basic truth. Just as freedom is no longer something to strive for, there is also no other possible alternative, at least not for us, not for Estonia. The idea of Estonia’s freedom has become perpetual. And this is the way it should be. Taking this into account, albeit often unconsciously, we look towards the future. Standing on this foundation, we take care of our people’s standard of life and their vitality. Standing on this foundation, we compare ourselves to other nations, and no longer to those who used to share our fate, but instead to those whose history and opportunities have, in the meantime, been different. And this is exactly what it should be like. For we cannot endlessly search the past for the cause of our problems like a former colony that continues to blame it all on some 19th century injustice. Standing on this foundation, we compare ourselves to our neighbours, both in what is good and what is not. At times, these concerns can tend to be too big. Things tend to get magnified in comparison. Let us not forget that we are able to measure and evaluate ourselves precisely because we are standing straight and on firm ground. Those who are younger amongst us do not even know that in the past our coastline was fenced off with barbed wire. In twenty-two years we have come so far that alongside our partners in NATO and the European Union we no longer need to fear a repeat of recent history. Within the twenty-two years of restored independence, the Estonian state has come so far that we no longer compare the present day to the occupation or the Singing Revolution. We compare ourselves to countries in which freedom and democracy are natural. This is the right, in fact, it the only possible way. We are and must be more demanding of our state. Yet in a democratic state this means that we must also be more demanding of ourselves. In a democratic state the rulers are not “they”, just like there is no “Brussels” somewhere far away “demanding” something from us without our consent or in violation of agreements that we have contracted. In a democratic state, every complaint against the state or its rulers is directly or indirectly a complaint against ourselves. Within one generation Estonia has changed beyond recognition. Our concerns have changed as well. If the historical burden has to a large extent fallen off its cart, we now face the question: How do we proceed from here? We are still recovering from the economic crisis that shook the whole world for quite a few years. The level of unemployment that plagued us a couple of years ago has now dropped below the European average. Already, entrepreneurs complain that incomes are rising too quickly, driving up inflation. Unlike in many other European countries, the Estonian economy is growing. Yet how and why should those people whose worries include the daily effort to make ends meet rejoice at these macro-economic figures? Those people whose income does not reflect the recovery of growth and who follow the growth of prices with concern? I know of no quick fix. It also took us a number of years to climb back up from the bottom of the crisis. Economic growth creates the means for the growth of wellbeing in the entire country, albeit not immediately, and not for everyone at once. The growth of the Estonian economy cannot delight those people for whom the state’s support is not enough to avoid poverty. Couldn’t the rules of our social policy be a bit more flexible, at least temporarily, in order to assist our people? We must accept that the ups and downs of the economy are a truly difficult phenomenon for some. So let us find alleviating measures, together. As I said, this is something that we can do when our economy is growing. But there will certainly not be any improvement without growth, as we can see in many other countries. I would especially like to thank and recognise Estonia’s older generation who survived the loss of independence, survived the horrors that followed, and often, with the restoration of independence, lost everything they had been able to accumulate in the meantime. Despite all this, you have retained your optimism towards Estonia, thank you. If during the past five years of the global economic storm we have to a large extent been influenced by external forces, the same does not apply for relations among ourselves, between people, and with the state. If the state treated the people with similar care and love as most of us treat the state, we would have a lot more of true patriotism, instead of phoney one. We should not create any illusions about panaceas to solve all problems at once. As if all would be well if we changed one minister or the entire government. As if we would get better decisions if decisions were to be made not by parliament, but by means of the internet or in referenda. No, I do not consider the current government to be irreplaceable, nor do I consider the way our decisions are made to be the best. Both will inevitably change if only the citizens so wish. This is a cornerstone of democracy. Over the past years, this has also been the citizens’ clear message to politicians. One of the greatest virtues of democracy is the legal transfer of power without the spilling of blood, in which the state continues, and decision-makers change. Democracy teaches us that if one is insensitive or deaf to the murmurings of the people, someone else will soon come to power, already after the next elections. If the feeling spreads in a democratic society that those in power are unwilling to listen, other means will be sought to make one’s voice heard. This is why the People’s Assembly or “Rahvakogu” was created at the end of last year. And today, I recognise its work. This fresh initiative, based on the citizens’ free will, has already proved to be a place for citizens to propose ideas that soon enough could become laws. 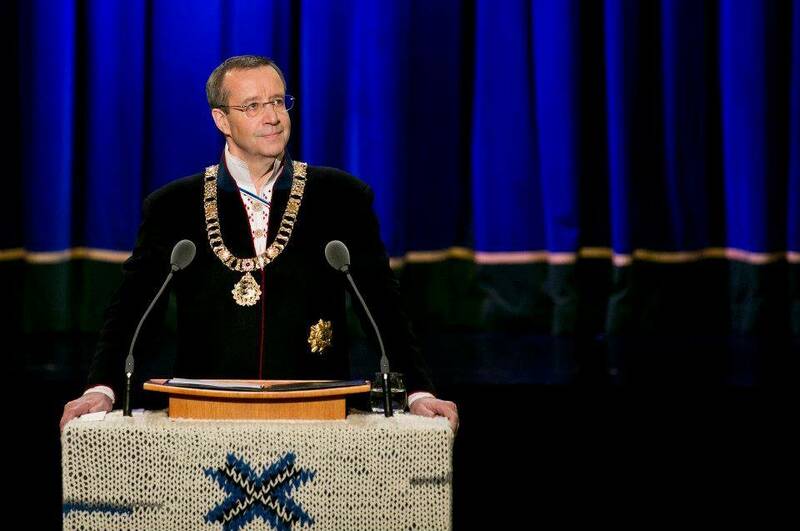 The Rahvakogu, I emphasise, was created by the citizens, among them by politicians convinced of the inevitable need for change, and for the citizens, in the interests of the health and future of Estonian democracy. Looking back on last year’s indignation the question has been asked: Has the parliamentary way of making decisions that we have become used to, exhausted itself? Experience from history and elsewhere proves that in referenda it is not always more just or humane values that come on top, as those who support this idea would hope. A referendum could support the restoration of the death penalty, the abolition of minority rights, or the reduction of education spending. Let us recall how ten years ago in France some people’s bias towards eastern Europeans – epitomized by the Polish plumber – decided the result of a referendum. This is why representative democracy has been successful: Elected members of parliament must take responsibility, must dare to vote in the interests of the state and its people, and to disregard the populism that has occasionally been fired up. We must, however, think seriously about how to make decisions in the future so that not only would the concerns of all interested parties be heard, but also be taken into account. This also means that decisions would be explained. That the government would neither be nor seem to be deaf or dumb; that the powers that be would not look down upon the voter; that government representatives would not descend to a base and spiteful level of communication. I personally am of the opinion that Estonia is doing quite well. I am sincerely proud of my country. When during foreign visits I listen to praise for Estonia’s achievements, in my thoughts I always thank the entire people, every Estonian mother and father, every senior citizen and youth, every worker and employer, every artist and every statesman. I thank everyone whose care, skills and dedication have brought Estonia its probably all-time best international reputation. A reputation that has not been fashioned but that has developed based on our deeds and skills, on Estonians’ enterprise, ingenuity and open way of thinking. We might not even know that the world’s most famous composer of classical music alive is Arvo Pärt from Rakvere. That no-one else has recorded as much classical music as the Estonian conductor Neeme Järvi. Tiger Leap, Skype, the digital prescription, the e-police and e-tax and customs board, as well as the X-Road’s database environment are studied or copied by countries across Europe and even further. These examples, many more of which I could have named, prove that here in Estonia we can continue to do great things. Even if the greatest thing of all, our very own state, is something that we have already accomplished. Yes, I know it is easy and popular to scoff and laugh at admitting Estonia’s success. As if we should be ashamed of our achievements and speak about them only in a lowered voice. Not forgetting to emphasise things that continue to be bad or remain unaccomplished. One does not exclude the other. Dear friends, let us be justly proud of our state and common achievements, but let us also honestly face the things that we have failed to do. Especially today when exactly five years separate us from Estonia’s great jubilee. And why not from a perspective that would demand the fixing of these things by Estonia’s one hundredth birthday. Let us look beyond the horizon of the approaching elections. Let us carefully weigh the choices we will be given. Because our situation in the coming five to seven years will change markedly. Although we cannot predict everything that could happen over those years, we already do know some things. We know that by 2018, due to low fertility rates and higher life-expectancy, the labour of three people will have to suffice to support five. Our entire system of social security and benefits will rest on the shoulders of those people. All of it: schools, pensions, child support, the police and rescue services, the health insurance fund, and unemployment insurance. Let us also consider the fact that as we become richer – and this is exactly what we want – this increasingly requires more effort and responsibility. Should our relative wealth grow with the continuation of economic growth, this will also mean that when the next financial framework period begins in 2020 we may not get as sizeable a piece of the pie as our government obtained this time round just two weeks ago. It could be that we ourselves will have become net contributors, as incredible as this may sound today. But it is entirely possible. Because we are already so close to the 75% level of the European Union average GDP, a threshold from which onwards a country can no longer be a net recipient of European funds. What kind of a conclusion can we draw from this? In brief, we must learn to manage in a different way. Firstly, we must find or invent a model of the state for such circumstances, a model that is not only more resilient to these changes, but one that also ensures the sustainable improvement of people’s livelihoods here. In the coming seven years we must become clever enough to manage on our own. We must also use the European Union support we receive up until then to create something sustainable – something that later on will be able to continue and develop by itself. And hence my appeal. Let us fix Estonia by its one hundredth birthday. The French built the Eiffel Tower for their century-jubilee. Let us build a metaphoric tower, one that shines bright and is visible from far away in its innovativeness and inventiveness, in its shrewdness and also its tone, a friendly, argumentative and efficient one. Such a timeframe and financial limit, a predictable yet definitive possibility of the closing of the window of financial opportunity, sets concrete milestones – goals that are not impossible to achieve, but which do require consensus and longer term planning than merely for one election-cycle. This should not be something insurmountable for us. Planning for the next general song festival begins at once when the fire of the previous one has gone out at the song festival grounds. 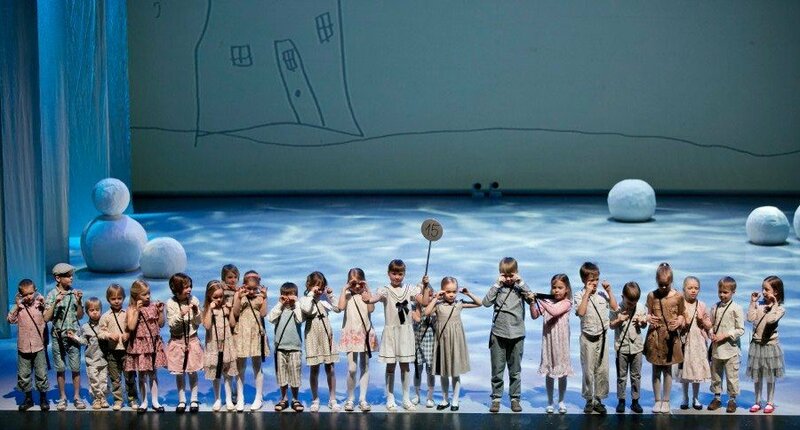 50 000 singers – this means that every twentieth Estonian takes part in the preparations, practising during their free time. How then could other things be beyond our means, for instance to fix Estonia? In order to reach this goal we need debates and also balanced decisions as a result of them. We need enforceable action plans, not development plans that are written for the sake of writing and then immediately forgotten. We need ideas, ideas that are innovative and possibly atypical, but certainly not slogans. These ideas and action plans must take into account Estonia’s needs, not arguments about whom, how, and how much to tax. We will come to taxes once we know the answer to the question of what to do in order that the state may function prudently. We need a debate on what to do with our education system as the number of schoolchildren rapidly declines, not fearing difficult decisions, but making sure that quality is preserved. Without pathos and populism we must reach consensus on how to organise life in the countryside so that enterprise may be possible there; so that people who want to live in the countryside would not have do so at the cost of their families and wellbeing. It should not be a heroic act to live anywhere in Estonia. And we must also see what we can do, if anything, in order that our connections with the outside world may not diminish. Instead of arguing about whether different universities need the same syllabi, we need a debate and decisions on what should be taught, and to what extent, in order that people may have jobs in Estonia with salaries that make it possible to live here after they graduate. As citizens who are demanding of our state, as the owners of our state, we could compile a list of problems that await at least some kind of solution within the next five years. We need a debate in which we can list all our wishes, calculate their price and then let the voters choose whether they are willing to pay for it all. Otherwise we cannot solve anything and will remain trapped in our dreams and nightmares. But here sprouts another need. We ourselves and the state power that is the government as well as the political parties of the Riigikogu that do not belong to the government, must be prepared to make big decisions. This is why we have elected you. There is no need to spend time on petty popularity-seeking laws that in the end recall meaningless activities. Laws abolishing the land tax for homes and curbing monopolies are not the kind of things that bring us closer to important decisions. We do not need the kind of obstructionism that mires the entire parliament’s reputation and that gives the impression of it all being a political game. We must pay for our own state. With money, but first and foremost with work, care and a will to stay together. If we do not want to or feel we cannot do so, then let us be prepared to demand less of our state. This too would be our free choice as the citizens and owners of this state. We do not have to do as the French did, and give our state an Eiffel Tower as a present on its one hundredth birthday. Let us provide solutions and decisions in the fields that I spoke about a minute ago. I hope that in the coming eighteen months we can exchange so many ideas on these topics that every citizen can pose questions to and demand solutions from the candidates before the 2015 parliamentary elections. I believe that politicians have also understood that compared to five years ago the voters are a lot more demanding today. I hope to, and also believe we will see a new quality that shall arise from our people’s increased awareness of everything to do with governance. The voluntary sector or the “vabakond” – a term that didn’t even exist five years ago – has appeared in all possible forms. Some of its phenomena are brittle, others more serious. It is no longer possible to ignore this almost unnoticed growth of awareness in the governing of the Estonian state. As citizens we are all owners of our state. And an owner takes responsibility and cares. Just as we grew from the Noor Eesti, or Young Estonia movement into a European state, we will also become a more open and modern people who can cope with anything that we are faced with. But only if we are prepared for this. All that is dear and sweet does not have to be big and grand. Estonia is like a wild strawberry: pristine and small, difficult to find and those who do not know how to, fail to recognise and value it. But once we possess it, once it is ours, then it is one of the best things of all. Our home is a wild strawberry field. And what Estonia will be like tomorrow, is up to us.